Mrs. Eunice L. Phillips, of Caryville, Florida, went home to be with the Lord on September 28, 2018 in the Community Health & Rehab. Center of Panama City, Florida. She was 92 years old. Eunice was born on November 14, 1925 to the late King Moses and Millie Mae (Myrick) Broxton in Caryville, Florida. 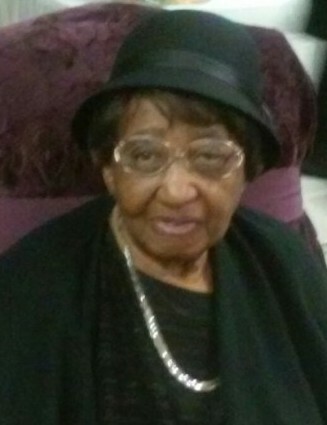 She was a faithful member of the St. Matthews Missionary Baptist Church where she worked in the music and mission ministry. She was marred to the late Luie Ervin (John) Phillips who preceded her in death on July 4, 1993. She leaves to cherish her memories her children: Carol Bellamy (Charles, Jr.) of Lynn Haven, Florida, Millie Holmes (John) of Detroit, Michigan, Gregory Nelson (Deborah) of Melbourne, Florida, Daytra Brown (Clarence) of Fayetteville, North Carolina, and Elvira Luncheon (Neil ) of Ellenwood, Georgia; two stepchildren: Morris Davis (Linda) of Tampa, Florida and Christopher Works; 11 grandchildren, 12 great-grandchildren, along with a host of other relatives and friends.